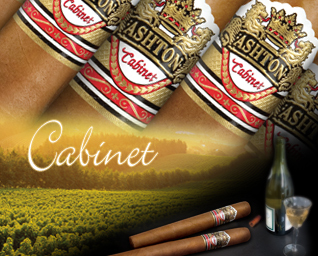 One of the most famous names in the cigar wold - Arturo Fuente has taken the talents of their master blenders and created a luxurious and exclusive cigar line, Ashton. From this line, the Cabinet selection was created to emphasis the skills that only their blenders and rollers can provide. Being named the "White Burgundy" or cigars, it gets its rich and complex taste not only from the soil but from the aging of the grape in French Oak Barrels, an extra year of aging on the Connecticut shade wrapper all while being a blend of no less than 6 different tobaccos. With a buildup like that - lets go right into the review! 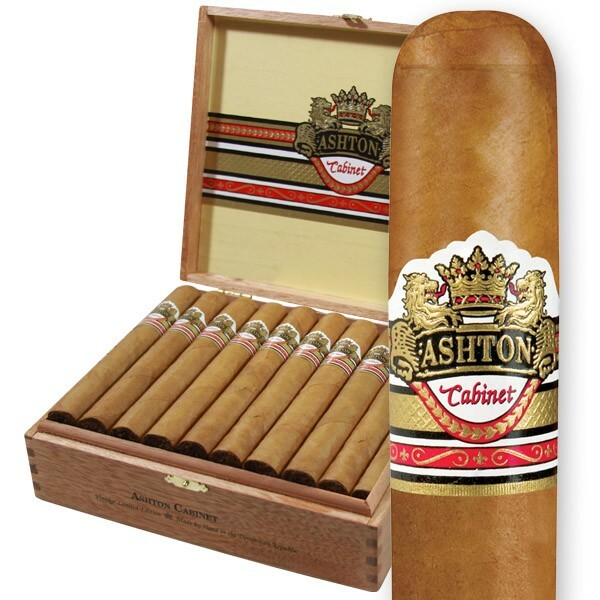 Ashton is one of those companies where without even looking at the cigar - you know it is going to be fantastic. The absolutely beautiful cappuccino colored wrapper contains very few veins and an almost seamless roll, holding the well packed tobacco inside the cigar. The head clipped like a charm, the foot took to flame just as it should and while the beginning burn was a little crooked, each one corrected itself and maintained that thin, black mascara line all the way to the end. A creamy, semi sweet natural tobacco flavor holds the foreground while wispy yet slightly spicy hints of nuts and wood make their appearance. This luxurious combination is really brought forward with varying degrees of each flavor, one puff a blast of wood and spice, the next a creamy and cooling rush of tobacco and light coffee notes just rolling back and forth for the main stage. The end of this cigar brings a darker and spicier rendition from before. Excellent to say the least. I am sure you all know I am a fan of Arturo Fuente - but when you take the 'best of the best' and create the Ashton name, you won me over at the start! Even without this preconceived notion, it is hard to not acknowledge and appreciate the level of skill these cigars contain but when you put flame to these and allow the smoke to cover your taste buds - you will feel the same way! Given the exceptional price that only BuyDiscountCigars.com can offer - a box purchase recommendation is a no brainer!